Steven Ray Breedlove, resident of Oklahoma City, passed away on July 15, 2018, at Tishomingo. He was 45 years old. He was born in Ponca City, OK, on May 13, 1973 to Steven Blaine Breedlove and Gail K. Edwards. His early years were spent growing up in Ponca City, OK. In his mid-teen years, he moved with his father, step mother Suzanne, and some of his siblings to the Guthrie/OKC area until his death. Steven loved outside activities, basketball, fishing, camping, bonfires, playing his guitar and singing. He also loved animals and spending time with friends and family. Steven was great with his hands and loved to make little crafts for people. He was very protective of those he loved and would do anything he could for them. Steven is survived by his mother Gail K. Edwards of Blackwell, OK, his three beautiful children Tyler Barnfield of Dallas, TX, Dustin Rice of Guthrie, OK, Maranda Hagar of Clinton, OK, his two wonderful grandchildren, seven brothers and sisters, Christy Daine and husband Scott of Ponca City, OK, Leslie Hotard of Ponca City, OK, Rebecca Breedlove of Blackwell, OK, Rolla Breedlove and wife Stephanie of Yukon, OK, Quinten Breedlove of Ponca City, OK, Michelle Tudor and husband Terry of Perry, OK, Daniel Breedlove of Guthrie, OK, and numerous aunts, uncles, nieces, nephews, great nieces and great-nephews. 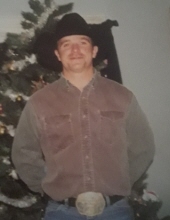 Steven was preceded in death by his father, Steven Blaine Breedlove of Guthrie, OK, nephew Mathew James of Ponca City, OK, paternal grandparents Rolla and Helen Breedlove of Ponca City, OK, maternal grandparents Hubert O. Humble of Ponca City, OK, Deloris Butler and husband Nile of Perry, OK. Services are pending at this time. To send flowers or a remembrance gift to the family of Steven Ray Breedlove, please visit our Tribute Store. "Email Address" would like to share the life celebration of Steven Ray Breedlove. Click on the "link" to go to share a favorite memory or leave a condolence message for the family.